The latest incident is only the second time that HIV-infected blood has been sent with malicious intent through the U.S. mail system, said Peter Rendina, a spokesman for the U.S. Postal Inspection Service. An Ethiopian refugee now living in Chicago sent a letter dripped with his own HIV-infected blood to then-President-elect Barack Obama, authorities said Friday. 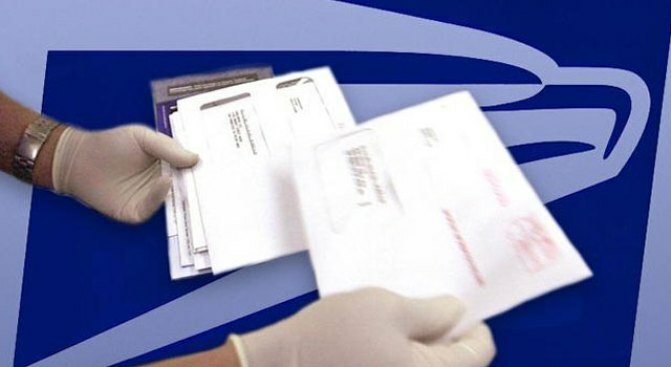 It's only the second time ever that HIV-infected blood has been sent with malicious intent through the U.S. mail system, said Peter Rendina, a spokesman for the U.S. Postal Inspection Service. In the weeks leading up to the president's inauguration, Hussein sent an envelope addressed to "Barack Obama" to offices of the Illinois government in Springfield, Ill., court documents allege. The envelope contained a blood-stained letter and an admission ticket to Obama's election night celebration in Grant Park. Hussein, who takes drugs to treat a mental illness, later told FBI agents he is "very sick with HIV" and cut his fingers with a razor so he could bleed on the letter. Days after the first letter was sent, Hussein allegedly placed two more letters in the mail, one addressed to "Emanuel", an apparent reference to the President's chief of staff, Rahm Emanuel. The two letters contained what appeared to be dried blood, the court documents said. Upon receipt at the Illinois Department of Revenue building in Springfield, the building was placed on lockdown for nearly two hours. Despite his return address being on the letters, Hussein has denied sending them. He was arrested in December. According to the court documents, Hussein told FBI agents - with his brother acting as an interpreter - that he admired Obama and was "seeking help from the government". Hussein was placed in a Chicago correctional facility in Chicago, where he awaits a court-ordered examination to determine if he is mentally fit to stand trial. The process has apparently been stalled because a suitable translator has not been found. In early January, the state Public Health Department reported that all the letters tested negative for biological agents, the Chicago Tribune reported. This is not the first time law enforcement officials have had to take Hussein into custody, FoxNews.com reported. He was arrested by police in 2006 after starting a fire in the middle of a crowded Chicago intersection. When officers arrived on the scene, he was waiving the Koran in the air and yelling "Allah Akbar," or "God is Great" in Arabic. Court documents said he was transported to a hospital, where he called President Bush a terrorist and criticized American foreign policy. He was not formally charged, but he did spend time in the mental health unit of the hospital. In 2006 a "disturbed individual" placed a plastic vial of HIV-infected blood in the mail, according to Rendina. The unidentified individual was arrested and charged, and is now receiving psychiatric treatment at a federal medical detention center, Rendina said. According to the Centers for Disease Control and Prevention, HIV is spread only through sexual contact with an infected person, through sharing needles with an infected person, or through blood transfusions of infected blood. Health experts say the virus can only survive outside the body for a few minutes.